Many who know me, know that I am a vegetarian on Mondays. 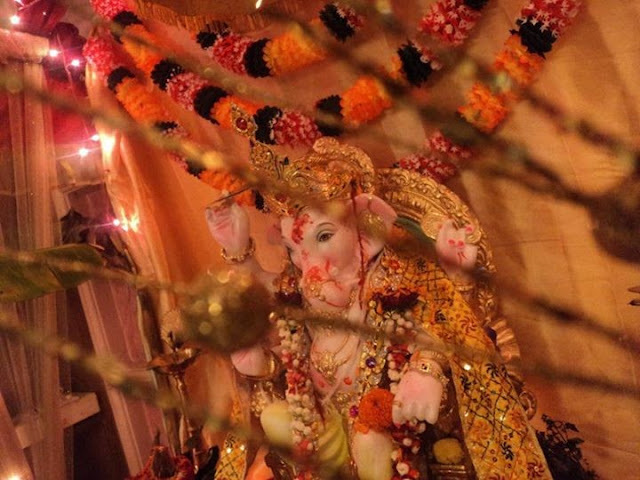 For those who don't know, it's a religious thing, which is a difficult concept to explain if you aren't a Hindu; so I won't get into it. 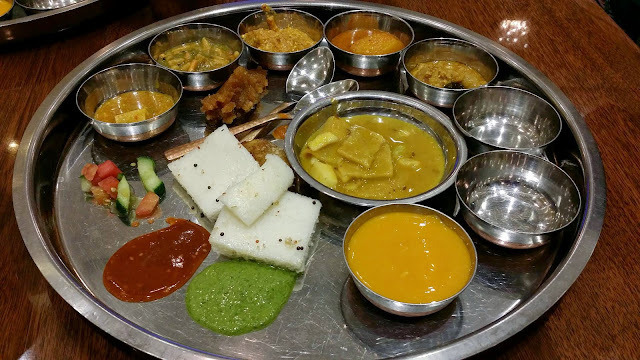 This Monday I ventured to try something new, a Gujarati thali. My taste in food ranges from North to South India and the world cuisine in short; but a Gujarati thali is not something I would personally pick. As a matte of fact, I did not pick it this time either, I just agreed to go because my sister in law really wanted to check the place out. 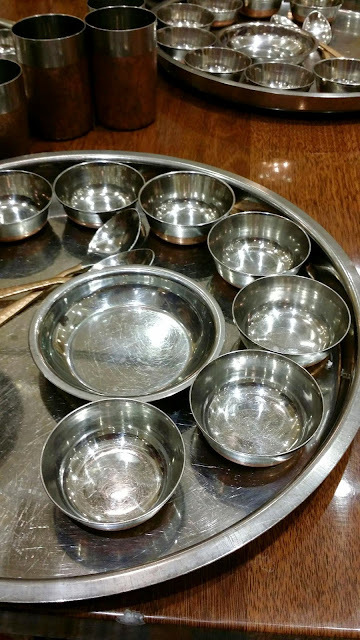 For those of you who don't know the thali meal concept, it's similar to a buffet but is served to you on your table very quick and efficiently and you don't get a chance to say no, so you end up with every item prepared for the meal on your plate. 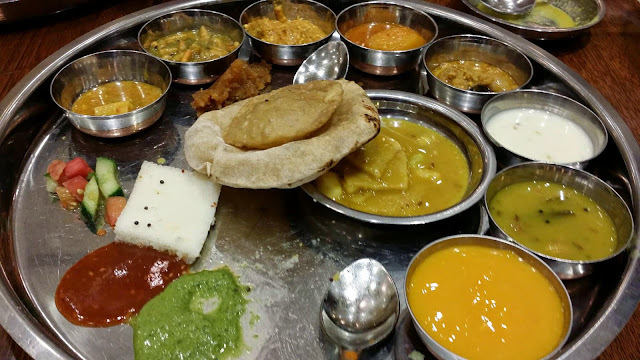 The thali here had two appetisers, salad, four kids of pickles and chutneys, rice, three types of Indian breads (roti, puri, and a makai ki roti I think), 5 gravy veggies dishes and 4 types of days and curries and two desserts all prepared in traditional Gujarati style. The food was fresh, hot, sweet, spicy and tangy all in one. 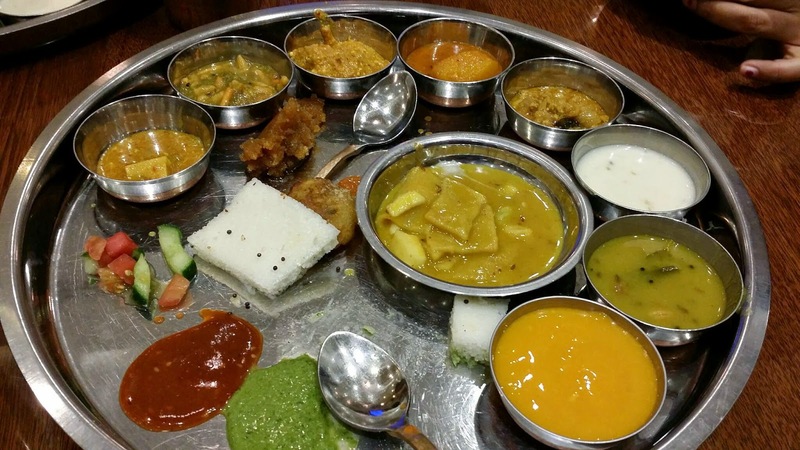 I particularly enjoyed the appetisers and the sweet curries (I do have a sweet tooth). The dessert had a moong (one of the pulses) halwa and aam raas ( puréed mangoes). I dint like the halwa though my sister in laws did. I ended up eating the aam ras (even though I dont like mangoes), that to four bowls of it. To be honest as soon as I finished the third bowl the server filled up the bowl instantly and insisted I have it. I they noticed that I dint really eat any of the veggies on my plate, and this dessert made a major part of my dinner. I am terrible at eating veggies, but from the other two women at the table it's been proved that the food was infact delicious! So if you haven't tried the thali yet, go on, with AED 33 person you won't be breaking the bank. My suggestion, go early and go on a weekday when it's less crowded so that you will be served faster.